One of the things we found about gigs when we first moved to London was how difficult it was to get good tickets. When I used to go to see bands in Newcastle or Manchester tickets were sold in one or two places but in London ticket agencies were everywhere and you could never work out what was the best place to go to get a decent seat! So that was probably how we ended up in the rear circle when we went to see Robert Plant at the Hammersmith Odeon! It Bites were the support band for the night although I don’t remember that much about them. The band went off for the encore and when they came back on they played another new song and at the end of that Robert Plant looked towards the wings, looked back at the audience, mumbled something and then, holding his arm out just said…Jimmy Page! The place went nuts and the band tore into Trampled Underfoot! Finally the band did a third encore and finished the night with the Zeppelin classic Rock and Roll – not too shabby at all! 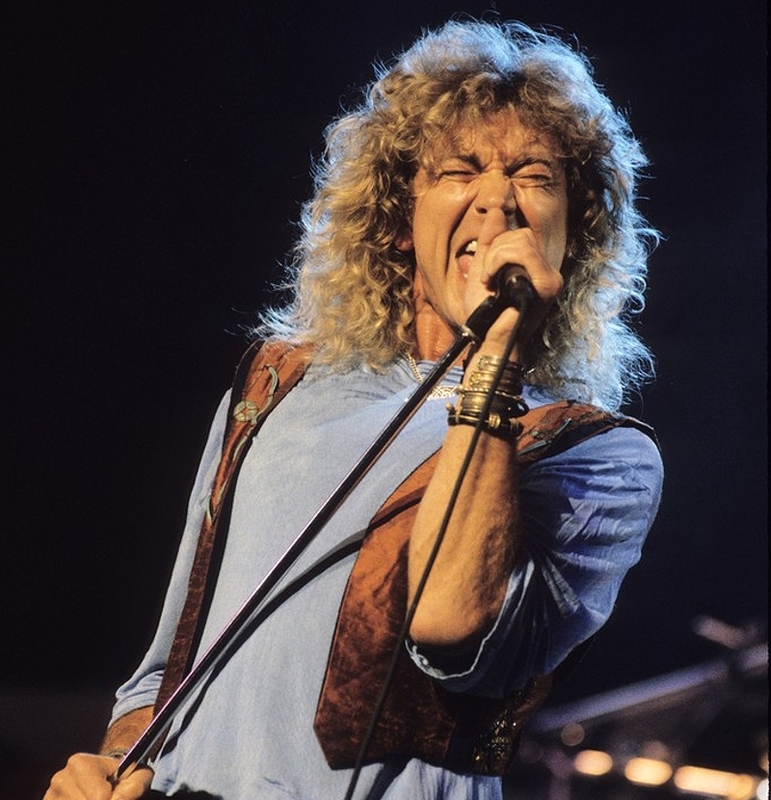 Photographs from the Led Zeppelin performance at the Atlantic Records 40th anniversary concert in New York, May 14, 1988 – just a couple of weeks after this gig!